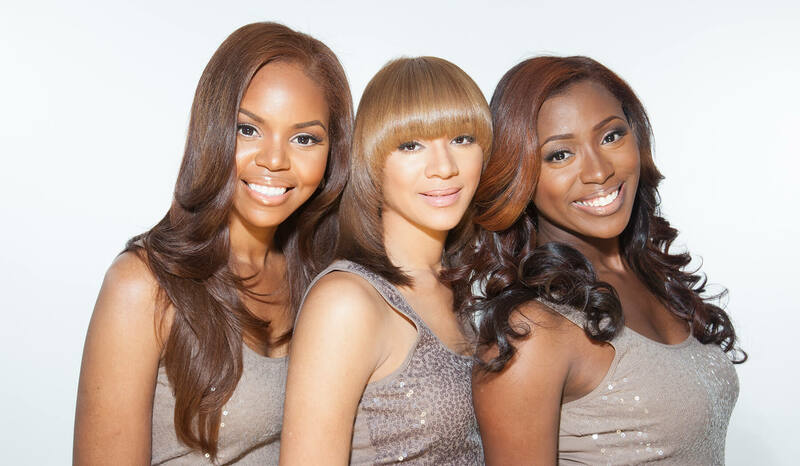 The Lavish Hair brand was founded in 2007 as a hair studio in Columbia, SC. After a decade of business and growth, Lavish Hair has transitioned from two full-service salons to a personal-beauty brand focused on individual experiences and a holistic approach to servicing each client. The Lavish Hair brand specializes in establishing and maintaining healthy, strong, beautiful hair and strives to push the boundaries of beauty with unique luxury products, exceptional service and dedication to each guest. Mission Statement: The Lavish Hair mission is to offer luxurious hair care and styling services, while also promoting a healthy lifestyle through education to achieve ageless beauty. 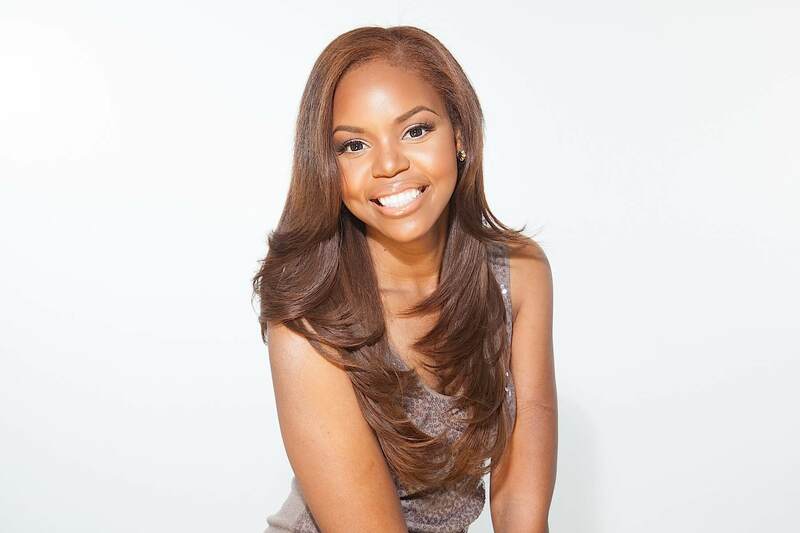 Lena Pinkston, founder of Lavish Hair, has been a licensed cosmetologist for over 16 years and has trained nationally and studied internationally with renowned beauty industry leaders and professionals, such as Patrick Bradley and Tokyo Stylez. 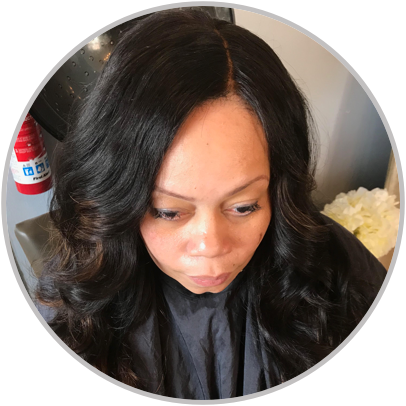 She has more than 12 years of experience in hair extensions and has mastered several methods of application, including lace application, sewing, fusion and micro-links. Lena is an artist with an intense attention to detail and a strong desire to meet the needs and exceed the expectations of each guest. All appointments are made online with a deposit. Please enter all of your most-recent contact information when scheduling. After you schedule your appointment successfully, you will receive a confirmation via email. Due to the private atmosphere of the salon, CHILDREN and GUESTS are NOT allowed to accompany clients during services. When cancelling appointments in advance please do so online, using the scheduling system. A 24 hour advanced notice is required to receive a refund on service deposits. Upon arrival at your appointment, please make sure your hair is ready to be styled, free from braids, twists, and tangles. Please don’t hesitate to call or text if you need assistance booking or canceling your appointment online. Each unit is custom designed so the final pricing details will depend on the style you desire and the method of shipping you prefer. If this is your first time ordering, let's schedule a consultation as soon as possible to make sure your styling needs and expectations are met. 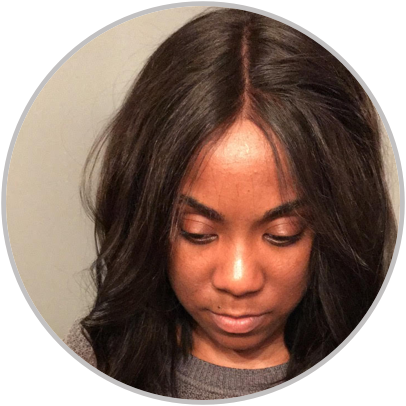 BASE PRICE price covers your full lace wig and custom style work for the wig. Natural base, custom hairline, support bands and basic layer cut (if desired) are all included in this base price. All base price wigs come in natural dark brown haircolor. After payment is processed custom Lavish Hair Units ship in 10-15 business days under normal circumstances. The silkening process infuses moisture and shine into the hair during straightening. When you book this service, your hair will be cleaned, conditioned, blown out, and thermal straightened with an iron best suited for your hair texture. No chemical straighteners are used during this process. Your specific hair needs will be assessed during the appointment and products best suited for YOUR hair will be used. For booking purposes, this service is listed as Hair Silkening (Thermal Press) or Lavish Silkening. The keratin treatment is an alternative option for straightening hair and controlling frizz in humid weather conditions. The products used for keratin treatments have improved significantly over the past few years and are now safer and more effective. Lena has specialized in lace closure, frontal and wig application since 2007. She initially trained with Lace Front International in 2007 and stays up to date with new methods and products. Most recently she has trained with celebrity stylist Tokyo Stylez to enhance her custom wig making techniques. Lena is an expert at sew-in and bonded extension methods and is skilled on blending hairs of all textures. First-time hair extension clients are encouraged to schedule a consultation before booking their hair- extension service. 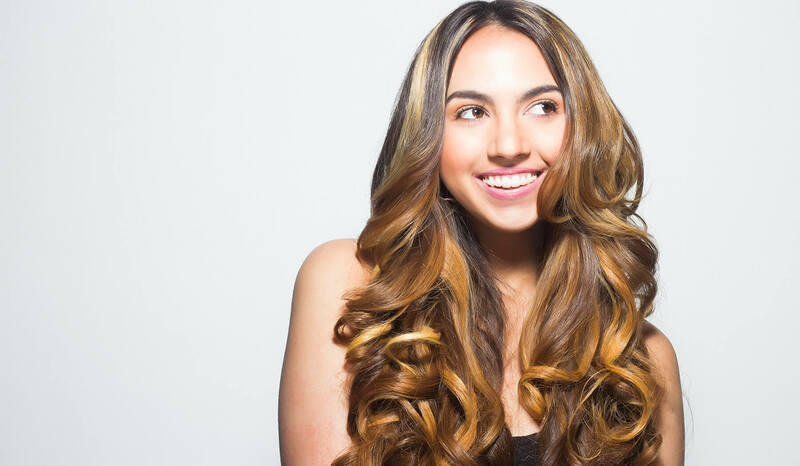 The advance consultation allows time for your hair to be evaluated, so the most appropriate hair texture and extension method can be determined. This is best done in person, however, consultations via email and phone can be arranged. Custom hair-color methods are determined on an individual basis. If interested in this service, you are encouraged to contact Lena for a color consultation. Hair orders need to be placed a week prior to hair extension appointments. All hair is available in straight, wavy or curly. Hair is natural dark brown to natural off black in color. It can be colored lighter or darker as needed. 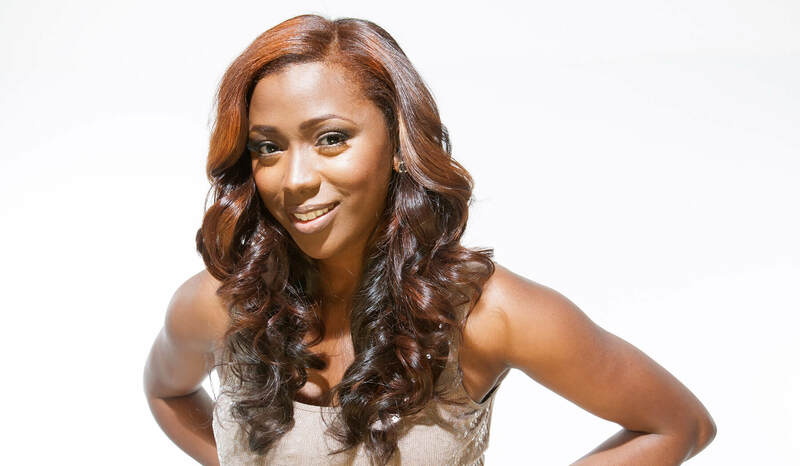 Please consult with Lena on what type of virgin hair is best for your hair texture.